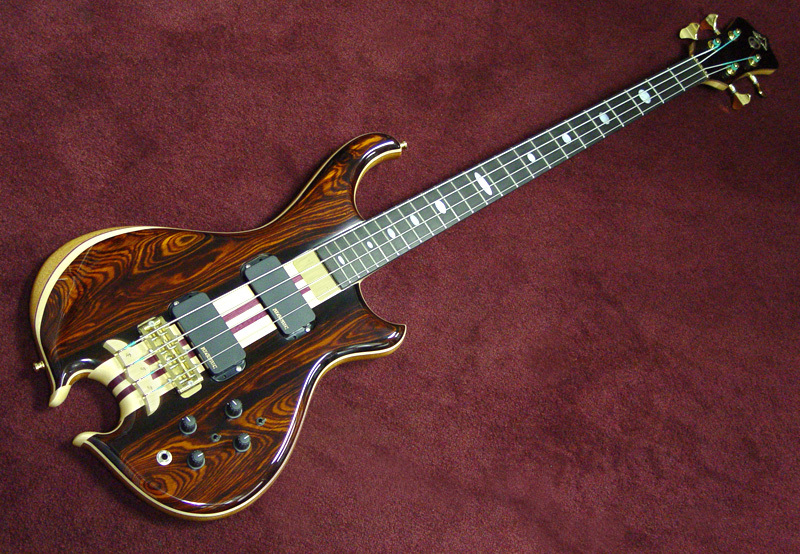 A dark, sultry Coco Bolo top defines this Signature bass. 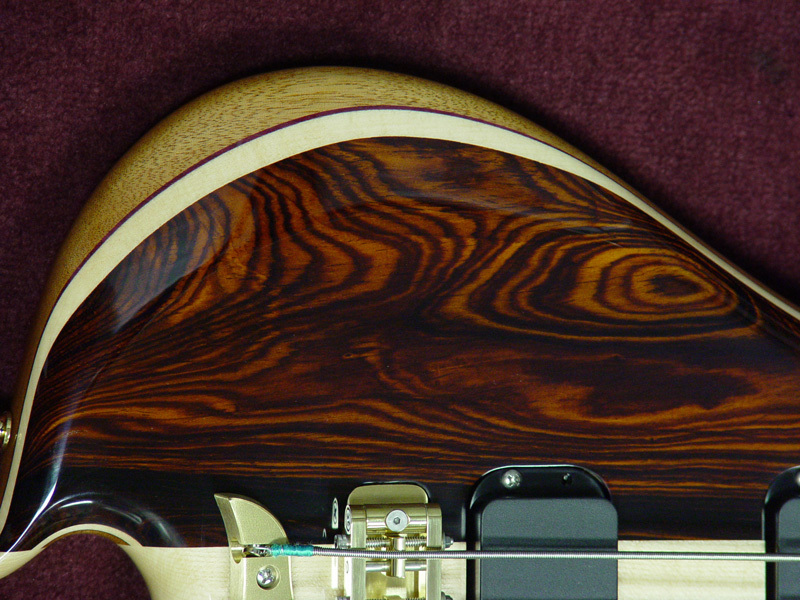 Whether you like high contrast figure, dark grain pattern, or crazy swirls, this bass has it all. Note the pictures below use lots of light so that you can see the detail. Not only is the look absolutely stunning, the sound is robust and clear at the same time. 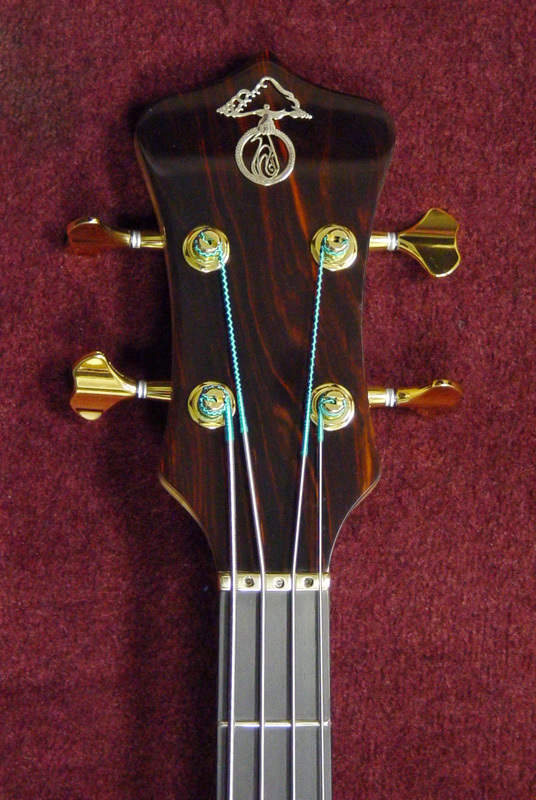 Coco Bolo is the "House Wood" of Alembic. Why is that? Coco Bolo imparts a complex bright yet dark sound to your bass, with a reinforced EQ "smile" for excellent clarity. It's the oils in the wood that bring out the lows, nice and full but never boomy. The density brings on the clear highs. Of course density means weight in the bass world, but in this case, the smaller Balance K body with additional contour carving and an Omega cutout bring the weight to just under ten pounds, and that's pretty darned good for a Coco Bolo Alembic. Playability is great thanks to the perfectly balanced body shape. Hang it as you please on your strap and it obliges. 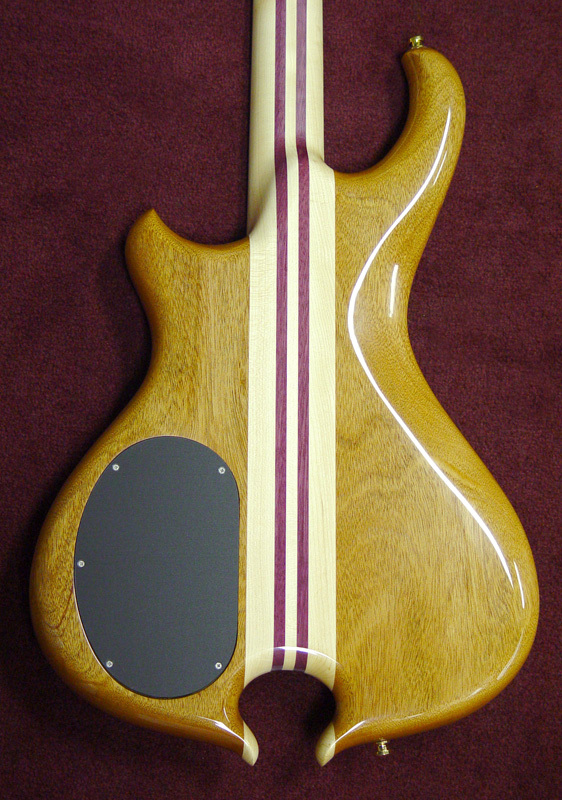 Upper fret access is complete, and a satin neck finishes up what just might be your next bass.